The telephone is an important lifeline to the outside world for the elderly and hard of hearing, so it's paramount that they have technology that enables them to comfortably speak on the phone. 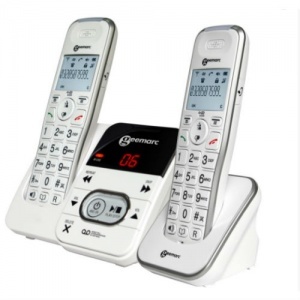 A great phone for elderly and hard of hearing individuals, the BT BT4000 Big Button Amplified Cordless Telephone is designed to make using the telephone comfortable and easy. 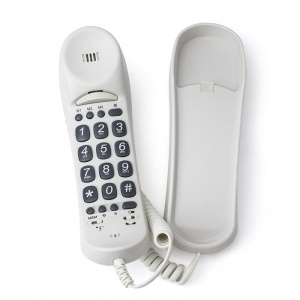 To make the phone as easy and as comfortable to use as possible, the BT4000 utilises a big button keypad. Larger keys are easier to hit, making them ideal for the elderly and for individuals with reduced vision. Keys on the BT4000 are more spaced out than on conventional phones, making each key easier to distinguish between numbers and other buttons. The BT BT4000 Twin's crisp and clear backlit display makes reading numbers and navigating the menus easy and simple. Ideal for elderly users, this feature ensures that it will not be difficult for them to properly use all of the phone's features.